The new View-master takes it style cues from the original. Mattel, the infamous toy company, is reinventing a classic, the view-master. Using a smartphone app and their dock, the new version of the old toy will allow users to experience places and icons in 360 degrees. The device, which maintains the look of the original view-master, holds a smartphone that can display images in augmented reality onto their white dock. Viewers will be able to see the traditional view-master images re-imagined in 3D, in addition to new ones, like moving dinosaurs or a rocket in space. Mattel described this as letting users take “field trips” from the comfort of your own home… Or anywhere really. Mattel didn’t come up with the technology all on their own; the device relies on Google Cardboard to make the experiences come to life. Google Cardboard is a cheap, DIY virtual reality headset device. 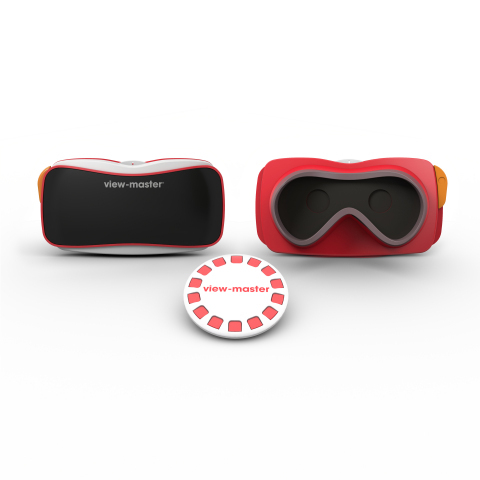 The new view-master starter kit will be available this fall for a surprisingly reasonable price of $29.99. Although extra environments and experiences will be extra.